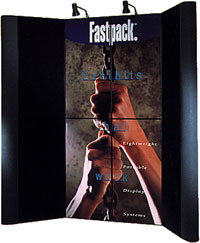 Fastpack Folding Panel System - Portable Trade Show Display Systems - Intex Exhibits. 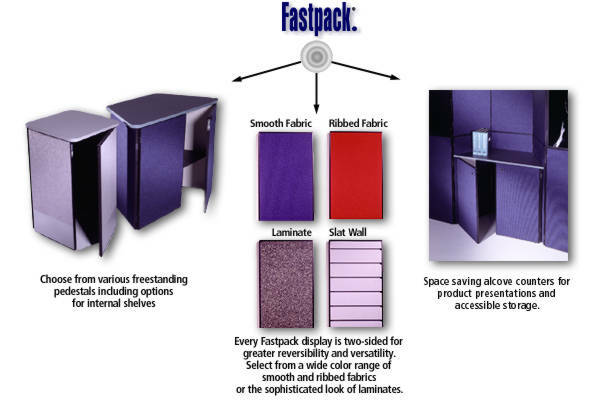 Fastpack is engineered for easy handling, packing and transport without complicated steps and instructions. You're done! From case to configuration in just 10 minutes. 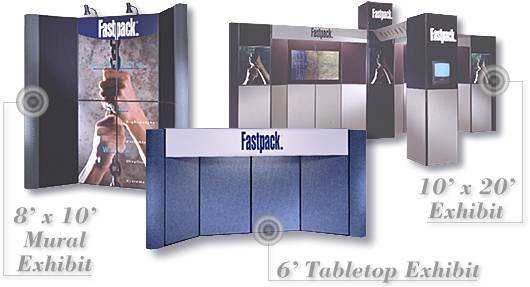 A basic 10' Fastpack gives you seven-displays-in-one: several tabletops, an 8' display, multiple 10' configurations and a tower.